giant oak vats and the wines texture and delicacy differentiates it from its stablemates. development already and is very much in a loose-knit, laid-back style. The Wine Advocate - Very deep garnet-purple colored, the 2007 St Henri Shiraz is a little closed at this stage, revealing subtle earthy notes over crushed blackberries, pencil lead, toast, game, smoky bacon and tree bark. Medium bodied, elegantly fruited and still very tight-knit, the palate offers beautiful purity structured with firm chewy tannins and very crisp acid that should see it through a long life. Consider drinking it 2013 to 2022+. 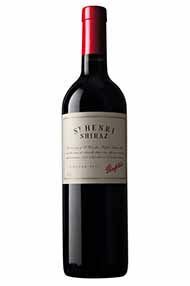 Other - Penfolds St Henri Shiraz is a highly successful (in the 1950s and early 1960s Penfolds St Henri often achieved greater commercial success than Grange) and alternative expression of Shiraz and an intriguing counterpoint to Grange. It is a perfumed, elegant wine with features so striking they need no enhancement or highlighting with oak. This fruit driven Shiraz is propelled by skin and seed tannins alone. Whilst maturation in large old oak allows an alternative textural experience, it certainly doesn’t compromise longevity or stature. Peter Gago says “A modern St Henri classic… one that defies the dictates pronounced by the year of vintage. But then again, that’s very St Henri (aka 1974!)”. 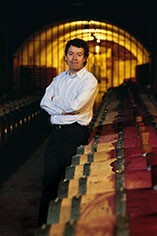 Penfolds is undoubtedly one of the top wine companies in the world in terms of quality, product range and consistency. Peter Gago has now taken over winemaking responsibilities and a string of good vintages over the past five years has helped Penfolds stay at the top of the Australian wine boom. The quality of Penfolds' red wines is simply world-class; nowhere else will you get such great wine for such good value. Penfolds Grange, without doubt Australia's greatest red wine, is also recognised as one of the worlds' finest. At 72,000 hectares, South Australia is the engine room of the country's wine industry, responsible for 43 percent of its vineyards and encompassing some of Australia’s most famous fine wine regions. One of the most important areas in qualitative terms is the Barossa Valley, beginning 50km north-east of Adelaide, and famous for its full-bodied Shiraz, as well as for its Grenache and Mourvèdre. To the east, the cool Eden Valley is home to some really fine Riesling and top-class Shiraz, such as that made by Henschke. To the north of Barossa is the Clare Valley, also a source of good Riesling but home to well-structured reds as well. South-east of Adelaide lies the delightful vineyard area of the Adelaide Hills, where fine Sauvignon, Chardonnay, Riesling and Pinot Noir are produced by wineries such as Petaluma and Llangibby Estate. Langhorne Creek to the east of Adelaide has earned a reputation for its Cabernet Sauvignon, Verdelho and Shiraz while, between Adelaide and the sea, McLaren Vale is a noted area for red wines. The unique vineyard region of Coonawarra lies 400km south-east in an area of pure limestone topped by a loose, red topsoil. Cool enough to resemble Bordeaux, this area produces great Cabernets and Merlots and is much in demand. Slightly to the north and to the west lie the regions of Padthaway and Mount Benson respectively, which enjoy similar success as sources of great white wines, especially Chardonnay. 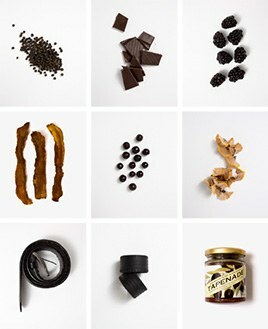 Wrattonbully however is known for its fresh, varietally-pure Cabernet Sauvignon and Merlot. However it’s the less-distinguished Riverland region that accounts for 50 percent of the state’s wine production.